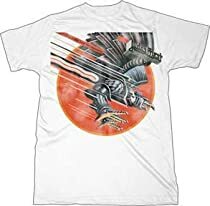 Judas Priest Screaming For Vengeance Faded T-shirt. This brand new, officially licensed Judas Priest shirt is pre-shrunk and 100% cotton. In Stock, Usually Ships Within 24 Hours!